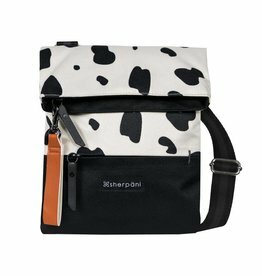 Based in sunny Boulder, CO—Sherpani has been designing unique and sustainable handbags, shoulder bags and backpacks, for women for over fifteen years. Shop their convertible backpacks and discover functionality at its finest. Explore their nylon crossbody's and totes to find a perfect style for work, adventure, or play. Plan to travel? Sherpani has you covered. Obsess over luggage and travel bags that will elevate the way you travel, from sea to summit, their travel bags are RFID protected and feature anti-theft technology. Top off your look with a wristlet, wallet or crossbody wallet.